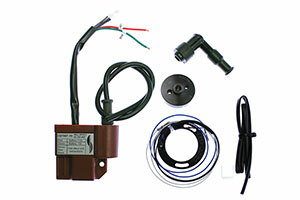 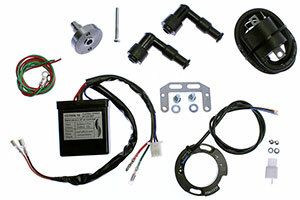 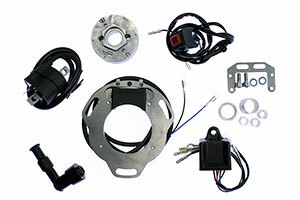 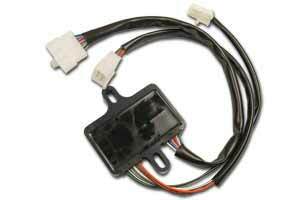 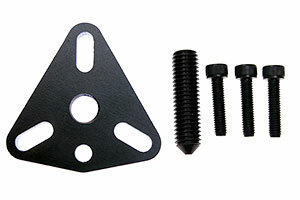 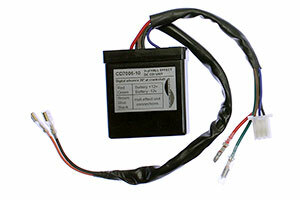 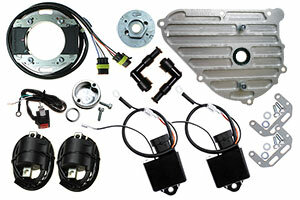 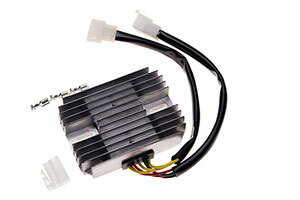 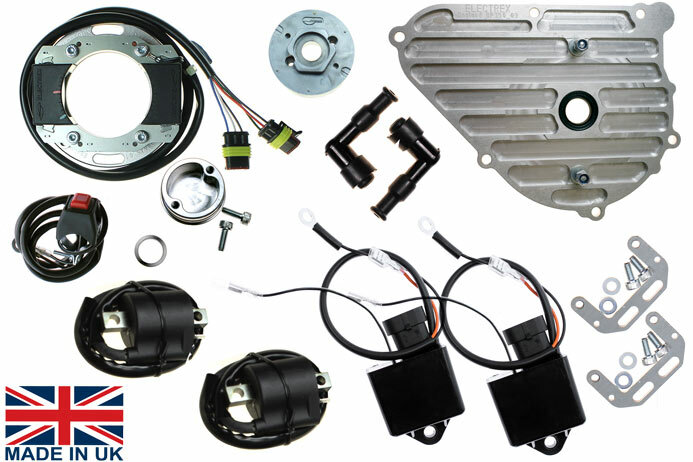 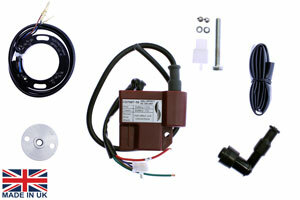 High performance cdi ignition system for twin cylinder 4 stroke with a 180° crank. 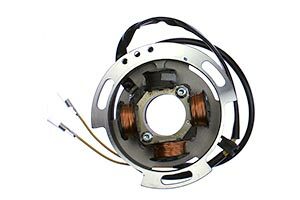 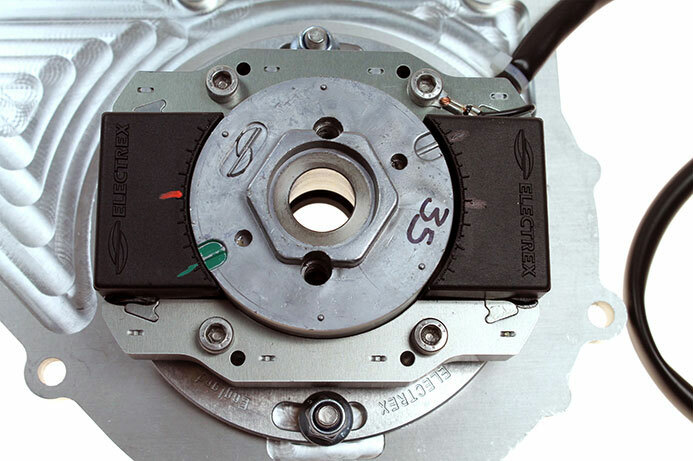 Low inertia rotor improves engine pick-up.Independent digital CDI, supplied with a user rev limiter 7000-13000rpm. 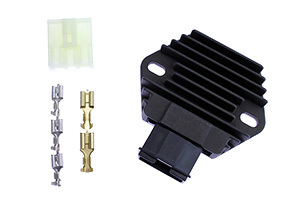 HT coils for each cylinder are programmed with an optimum advance curve specifically for this bike. 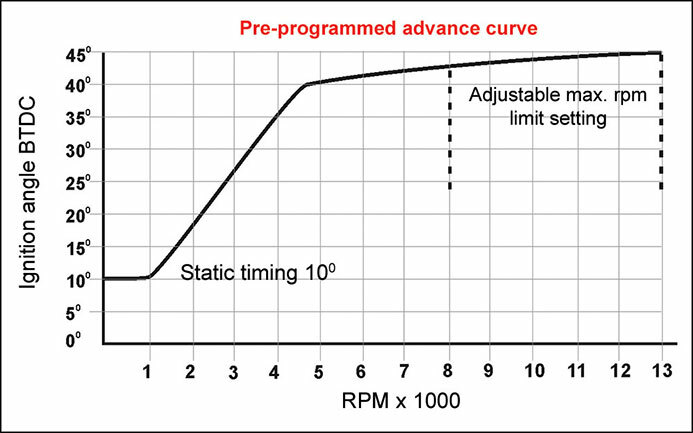 Maximum advance curve of this system is 35°, so static timing is typically set to 10° to give a total recommended advance of 45°.